Calling all indie authors…we want your submissions to self-publish! 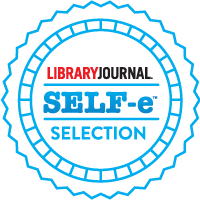 SELF-e is a discovery platform designed to expose ebooks to more readers through the public library. Authors submit their ebooks through a simple online form and select where they’d like their book to go: to libraries in their state in a module with ebooks from other local indie authors, or to Library Journal, where their ebooks will be evaluated for possible inclusion in a curated, national product. Authors may choose to send their ebooks to both places. Ebooks from authors who opted into the state module will be made available at participating libraries across their state, even if the ebooks are not selected by Library Journal. Authors whose ebooks are selected by Library Journal will be given a digital badge promoting their inclusion to potential readers who may choose to purchase a copy of the title. Also, their ebooks will now be available to even more new readers through participating libraries around the country. Carefully selected by Library Journal, these books represent the very best submissions through the innovative SELF-e platform. Indie authors, click HERE to get started!